Roger Chambers (York) is a dashing former diplomat who loves fencing. His friend Rudy (Madrid) convinces him to take the trip to Moscow to try and track down the evil Nikolai Klimov (Tyson), who is responsible for the death of his son. While there, the Russian authorities figure out what they’re up to and they don’t like it. Hulking brute and police Captain Vlad Stepanov (Nevsky) ends up getting sucked into the quest to take down Klimov and his minions. With Rudy in the hospital, and Roger basically under arrest, it’s up to Vlad to try and win the day. Can he do it? Moscow Heat is typical 2000’s DTV product. 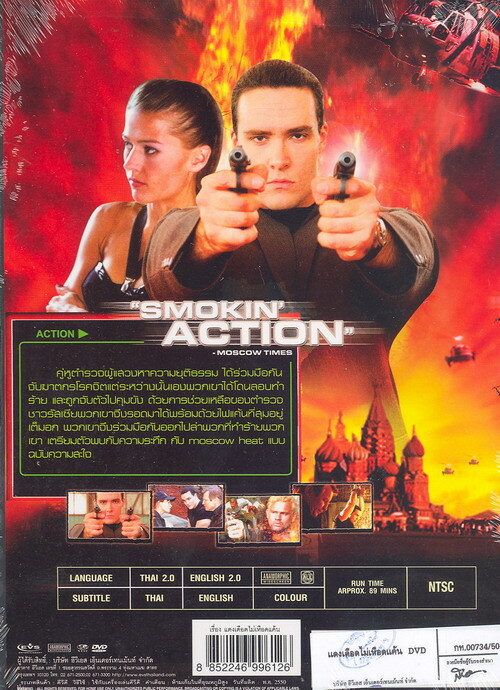 It has a junky look, some very unfortunate green-screen effects, obvious dubbing, stilted dialogue, and plenty of silly moments. It also looks much older than it is, it seems like it came out in the early 90’s. 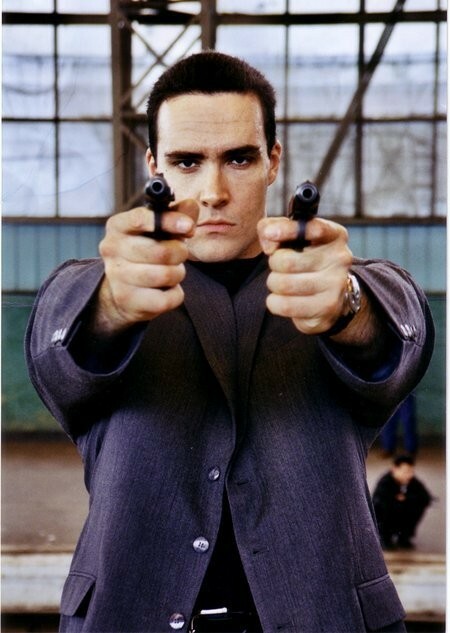 (The “bullet time” shot is very Sniper, 1993). The biggest lingering question seems to be why Michael York is involved. Maybe he wanted a trip to Russia. Or maybe Alexander Nevsky has a lot of pull. Alexander Nevsky, not to be confused with the medieval military hero and later Saint who lived from 1220 to 1263, or the 1938 Eisenstein film about him, THIS Alexander Nevsky apparently is a bodybuilder who co-wrote, co-produced and stars in his movies. At this rate, he could be the next Jorgo Ognenovski. But according to the back of the DVD box, “he could be the next Schwarzenegger!” Really the only thing they have in common is an impenetrable accent. (Though to be fair, there is a boat in the movie named “The Terminator”. Coincidence?) In this movie, it takes too long for him to snap into action. But he does get his prerequisite torture scene. Richard Tyson plays the evil blonde guy (you know he’s evil because he’s blonde). Joanna Pacula has basically a sit-down role and should have done more. Same with Adrian Paul, who has very little screen time. Same thing again with Andrew Divoff. Characters play chess and drink vodka, and one of the baddies has a “Russia” jacket. On the one hand you want to get the Russian feel and atmosphere, but on the other hand you want to avoid cliches. So what can you do? But in the end we felt the whole experience was a bit dry and instead of Michael York futzing around, it should have been Nevsky mowing down baddies with a machine gun right from the jump. Unfortunately that’s not the case. Maybe he’ll learn his lesson and do that in the future. The music by Richard John Baker features an electric guitar theme that is very reminiscent of the days of Genesis and Super Nintendo, further emphasizing the “this actually isn’t a movie from the 90’s” feel. 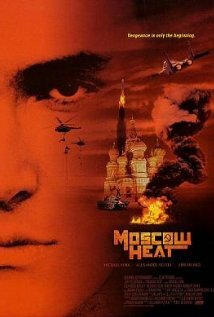 While we look forward to more producing/writing/acting or even directing from Nevsky, we felt Moscow Heat didn’t tap into his promise as a potential DTV star.